The Financial District is Toronto’s most densely urbanized neighborhood, home to the nation’s biggest banks, law firms, stock brokerages, insurance agencies, and company HQs. Because of this accumulation of wealth and industry, it’s considered the hub of Canadian commerce. The Financial District stretches from Queen Street in the North to Front Street in the South. But the Financial District isn’t all business. 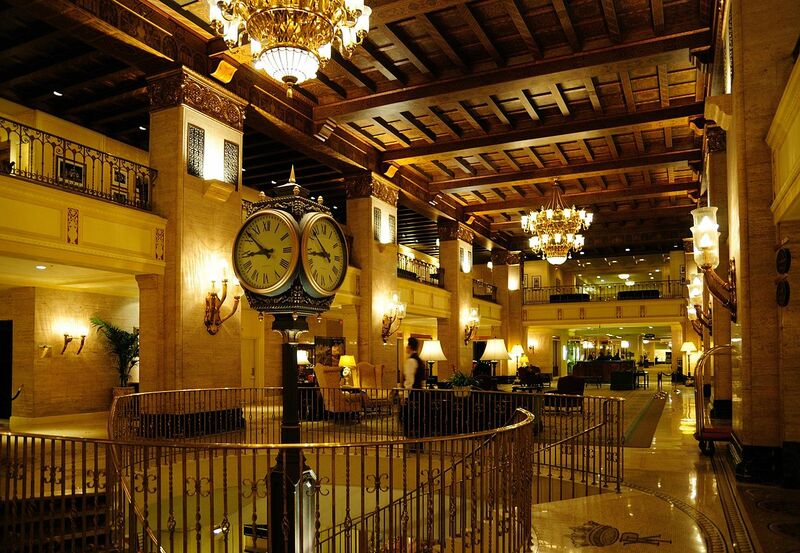 It also contains some of the city’s best restaurants, retail, museums, galleries, clubs, and entertainment venues. Here’s what makes Toronto’s Financial District so amazing. The only thing better than making money is spending it—and with an almost endless supply of malls and boutiques nearby, that won’t be a problem. 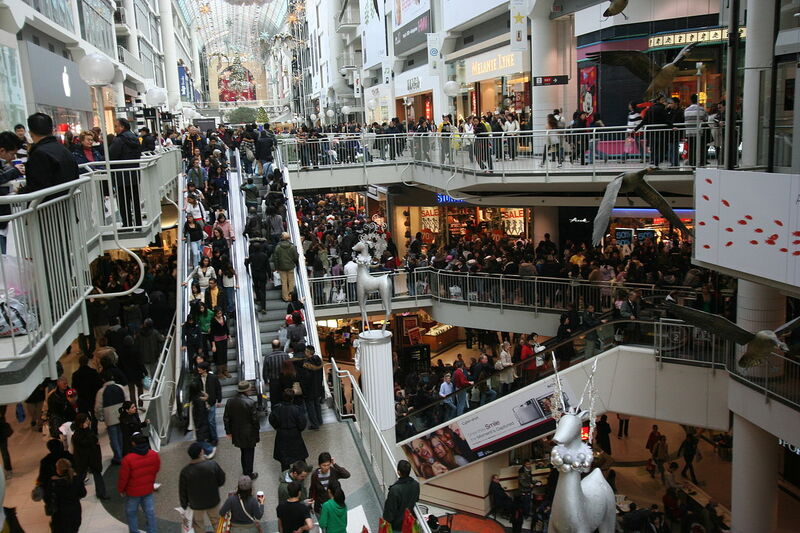 Take the iconic Eaton Centre…. 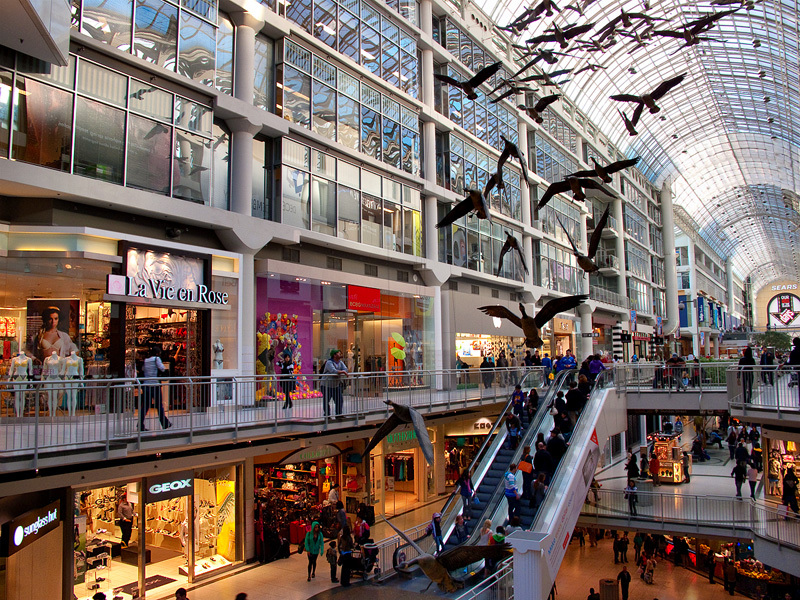 The mega-mall has earned several distinctions: with 50 million annual visitors, it’s the most popular tourist destination in all of Toronto. It’s also North America’s busiest mall (considering Canada’s total population is less than California’s, that’s rather impressive). And finally, it’s home to over 250 shops, including the first Canadian mall to house both a Saks and Nordstrom. If you prefer a more personalized shopping experience, there are plenty of boutiques and specialty stores around. 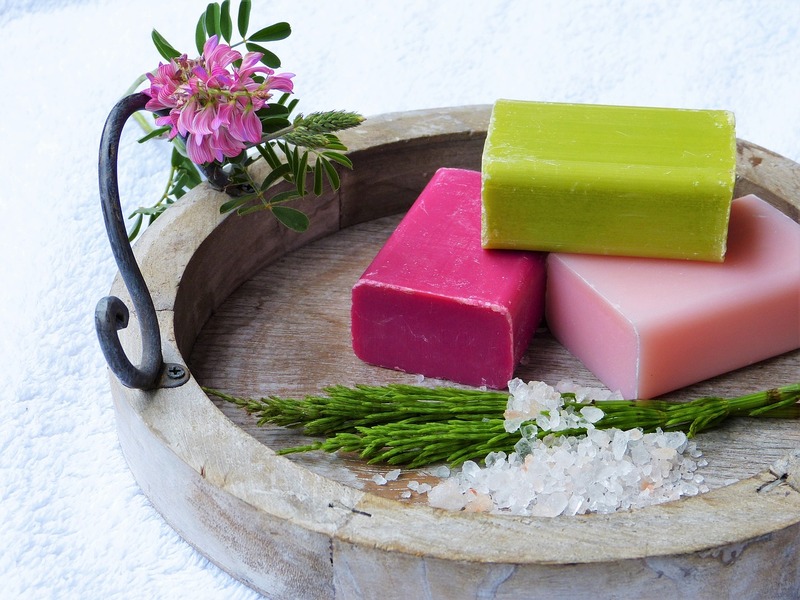 These include Spier & Mackay (custom-tailored men’s clothing), Soap Stories (a Dutch manufacturer of luxurious skincare products), and Brava Boutique (European lingerie and swimwear). Want even more shopping options? 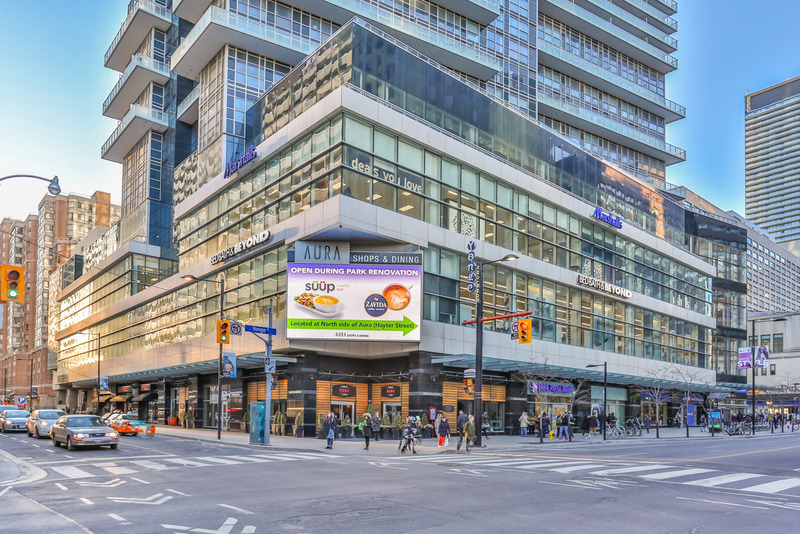 Check out Yelp’s Top 10 List of retail outlets in Toronto’s Financial District. Home to Canada’s business elite, it only makes sense that the Financial District also has some of Toronto’s best restaurants. Drake 150 also ranks first on BlogTo’s list of Best Restaurants for a Business Lunch. In fact, 3 of the top 10 venues for work lunches are found in the Financial District. Need to close a deal or celebrate a win? Check out other fine eateries like The Cactus Club, Chase, Canoe, and Nota Bene. Prefer something more casual? 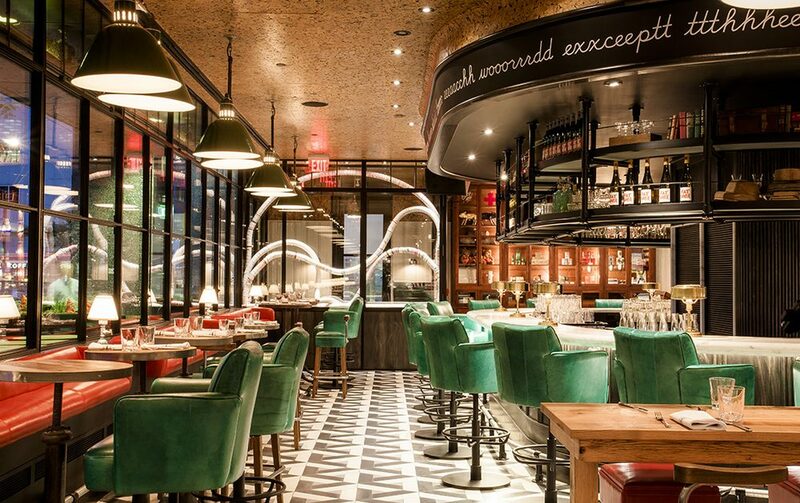 Try Gusto 101, an Italian restaurant and patio with an extensive wine list. 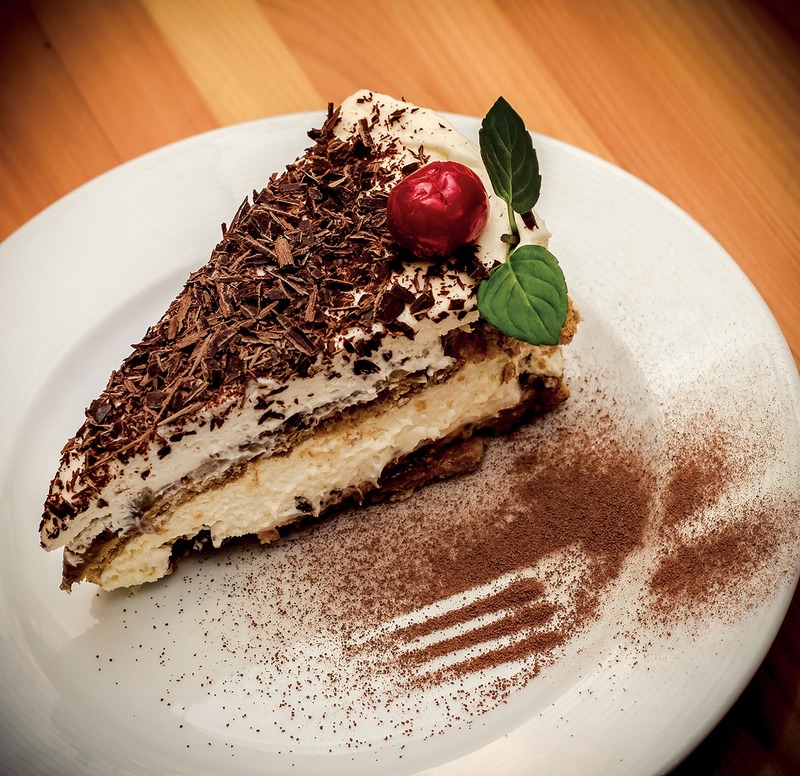 In the mood for dessert? Hop over to Sweet Jesus on John Street, which serves up divine cakes, saintly shakes, and heavenly hot chocolate. Cactus Club is a great place for drinks with colleagues. Whether it’s an important business luncheon, a casual meal, delicious multicultural food, or decadent desserts, you’ll find them all here. The Financial District has so many places to let loose and have fun, including some of the best bars in Toronto. First up, there’s the Irish Embassy on Wellington. Besides great drinks, it’s also loud, raucous, and unrestrained, making it the ideal escape after a long workday. Have something more upscale in mind? Check out The Library Bar, home to Toronto’s best martini according to NOW Magazine. Love music and dance? Then drive over to The Orchid on Adelaide and Peter. A hot-spot for young professionals, the nightclub plays House, Hip Hop, R&B, and Top 40 hits, all while serving up fantastic drinks. 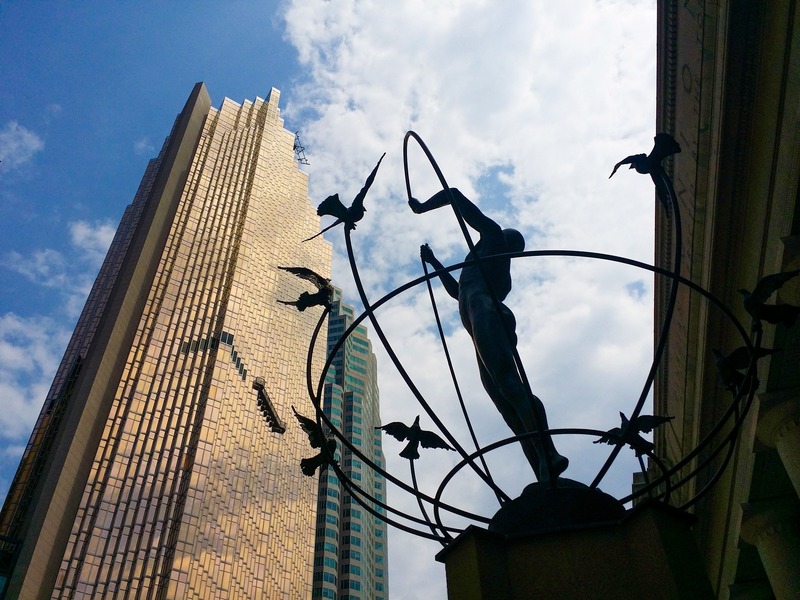 Another highlight of Toronto’s Financial District is arts and culture. The Design Exchange, located on 234 Bay Street, is Canada’s only design museum. You’ll also find the Gallery of Inuit Art nearby, which has hundreds of beautiful paintings, sculptures, and photographs. Want even more entertainment? There’s always the Hockey Hall of Fame, Four Seasons Centre for the Performing Arts, and the TIFF Bell Lightbox. Living and working in the Financial District also means access to PATH. With 3.7 million square feet of retail space, this “Underground City” holds the Guinness World Record for biggest subterranean shopping complex. Spanning 30 kilometres, PATH comprises of 1200 shops, services, museums, cafes, restaurants, and heated walkways. Over 200,000 commuters pass through it everyday, making it the perfect shopping destination for busy professionals. PATH also connects to 6 subway stations, 3 department stores, 9 hotels, and 75 buildings in the Financial District. Food, shopping, entertainment and transportation—everything you need is basically under one giant roof. While the Financial District is home to countless office towers, the area boasts many gorgeous condos. For example, there’s The Adelaide, a mixed-use hotel and residential building, and Aura, the tallest commercial and residential condo in Canada. Upcoming condo projects in Toronto’s Financial District include Fleur Condominiums on Shuter Street, Twenty Lombard Condos on Yonge and Richmond, Massey Tower Condos on 197 Yonge, and many more. Because of their proximity to PATH and the best restaurants, venues and attractions in Toronto, these condos are expected to sell fast. Toronto’s Financial District is all about abundance. Arts, entertainment, culture, food, shopping, transit….everything you need is nearby. The neighborhood combines business with pleasure, striking the perfect work-life balance. Want to learn more about the Financial District? Check out my video above or contact me below for more details.